Tucked away in this wonderful (and convenient) location, you're gonna' love this exceptional townhome, 2/bed, 2/bath, 1/car gar., private, secluded, w/deeded lake access to beautiful freshwater (sandy bottomed) Lake Huntley. 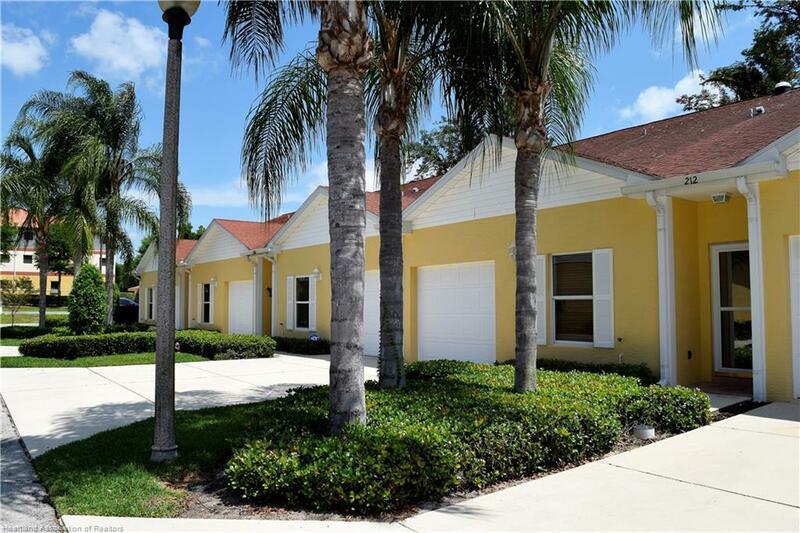 This townhome features a "fully" enclosed Florida Room (w/large sliding glass windows). Inside you'll find a wonderfully accoutered Master Suite w/excellent Master Bath (complete w/his and hers showers and large walk-in closet). Convenient inside laundry. The Kitchen/living room area is wide open for all your cooking and entertaining needs. And don't forget the boat slip at the private community dock. Association Fee covers: Basic cable, lawn care, insurance and maintenance on the outside of the building, street lights and club amenities such as community heated pool, shuffle boards, boating and fishing all "snuggled in" on prestigious Lake Huntley. This is truly Florida living at its best! Hurry make your appointment today! This home is being sold "as is" with inspections welcome!